The day before, the 19-year-old Russian athlete won the parallel giant slalom (PGS) event at Park City Mountain Resort, Utah, beating top-ranked snowboarder Roland Fischnaller. Dmitry Loginov has won his second gold medal at the championship in two days, beating Slovenian Tim Mastnak. 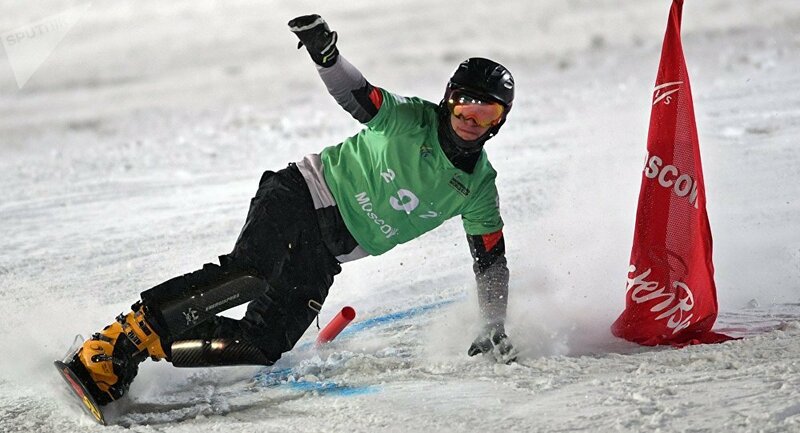 His victory brought Russia its first-ever parallel slalom (PSL) gold at a world championship. "I can't believe it", Loginov said, according to the International Ski Federation website. "I'm only 19. I'm the youngest world champion of all time, and it's just incredible". Loginov also became the first snowboarder in history to hold all four of the PGS and PSL junior and world titles simultaneously.